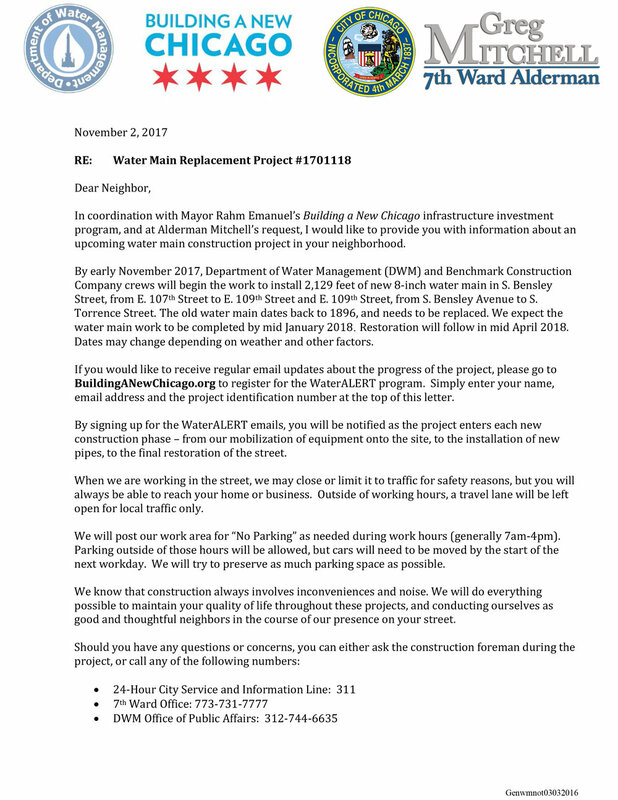 Water Main Replacement Project Starting Late November 2017 pm S. Bensley St.
A water main replacement project is launching this month from 107th St. to 109th St. along S. Bensley Avenue. Alderman Mitchell personally requested this infrastructure investment in our community. Repair water mains and improving streets are key tactics to improving our community and improving our quality of life. 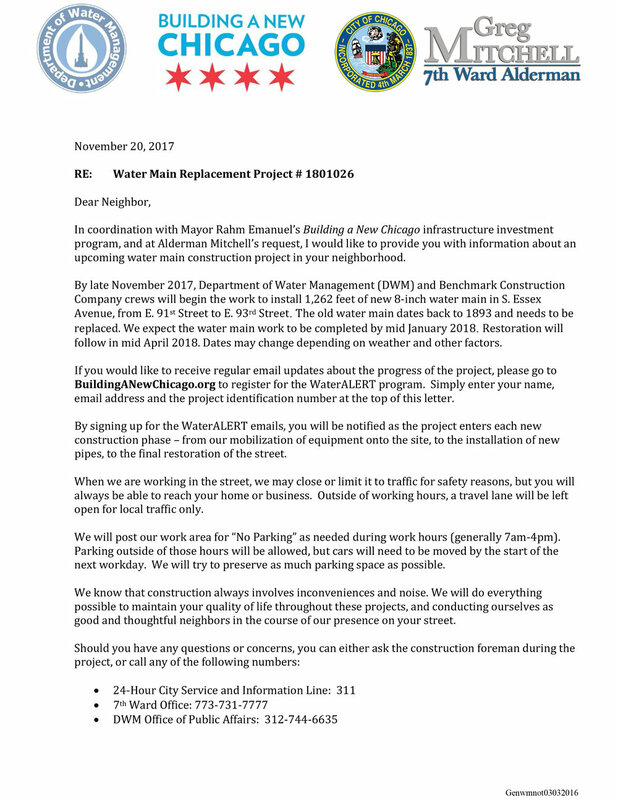 A water main replacement project is launching this month in our community. 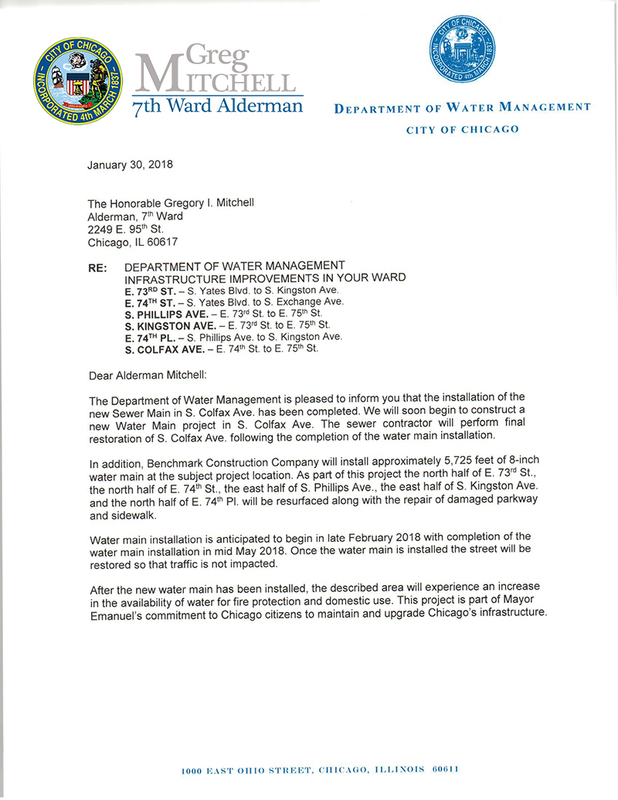 Alderman Mitchell personally requested this infrastructure investment in our community. Repair water mains and improving streets are key tactics to improving our community and improving our quality of life.